elieve it will get most of its play. I choose 65°F (18°C) as that is an oft-used indoor temperature here in UK… some others choose 72°F (22°C). Whichever you’re using, you need a table telling you what numbers to use, and a tuner which will allow you to vary. Most Western (A-G octaves) scales are based on a starting point of A4 being 440Hz. (meaning that A3 is 220Hz and A5 is 880Hz with notes appropriately distributed in between). What we do, is vary this frequency on our tuner, when we are in a different temperature environment. The flute will play whatever note it plays; we will adjust our tuner’s listening so it knows the scale is different. Let’s look at a practical example to make it clearer. 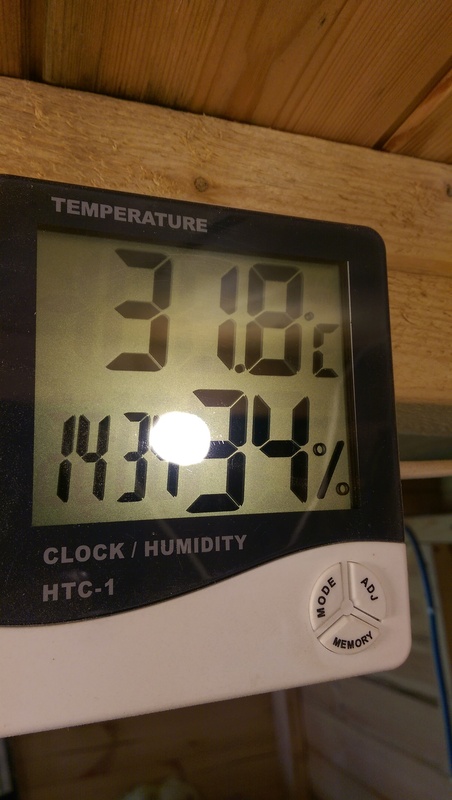 I want to tune my “A4” flute for an environment of 65°F (18°C); but the room I’m tuning in has an ambient temperature of 72°F (22°C). This means that, if it’s in tune at 18°C, the flute will actually play 442.93Hz instead of 440Hz, while we’re in my tuning room. This will be horribly out of tune compared to any instrument which is playing 440Hz in my tuning room. So – we set our tuner to A4=443Hz – this tells the tuner to indicate “in tune” when we play 443Hz on our “A4” flute. Tune your holes, using your tuner as normal. Once you’re done, take the flute and tuner to an environment of 18°C, set the tuner back to 440Hz, and check; it should be bang on. What we’ve done is not to get rid of the basic issue, that the flute will play different notes in different environments – that will still happen. But we’ve anticipated the ambient temperature the flute will be played in, and set it up to be in-tune there. 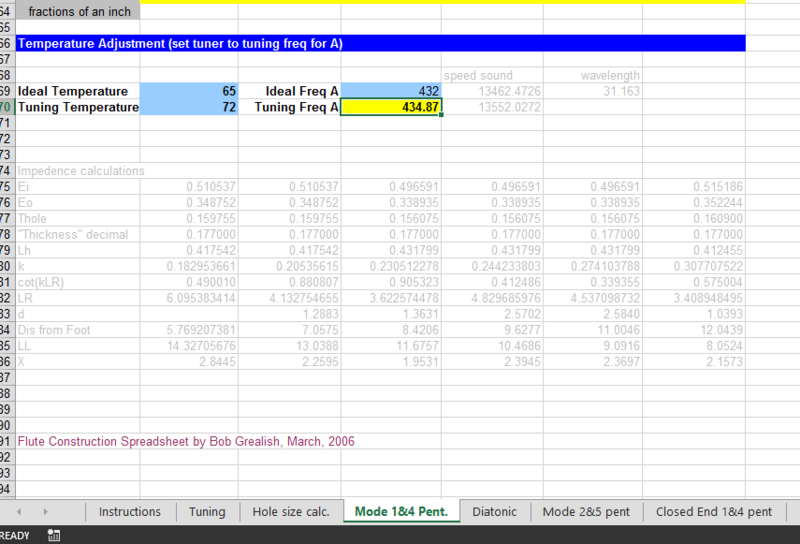 A suitable table can be found in Bob Grealish’s spreadsheet on Flutopedia, and it allows you to enter the tuning frequency and the temperatures; it then tells you what you should set your tuner to. Here’s a screenshot.